On Tuesday May 9th SAP S/4HANA Cloud 1705 was released to customers. As with the blog to the last release we want to highlight some of the new capabilities for the scope of SAP S/4HANA Cloud for Professional Services with the 1705 release. Every customer project has one profit center assigned to it, but depending on who is participating in the project, several profit centers can contribute to this one project by confirming time and expenses. Our customers have the requirement to see the project margin not just for the project profit center but also for all the different „contributing profit centers“, so the origin profit centers. Before the 1705 release we saw some customer solutions reposting the revenues and costs from the project profit center to the contributing profit center, as a workaround. This is the reason there is an additional term used „revenue allocation“. As we provide this for cost center postings too, a drilldown for all the projects within one company is possible as well. The capabilities that are coming with this innovation are that there is a new field in accounting line items, so the Universal Journal (table ACDOCA). This field is available in all relevant accounting reports. As we reference to already available field “Profit center” the profit center hierarchy is available as well. And last but not least, in the master data of employees and contingent workers the responsible cost center is maintained, which leads to the responsible “Origin Profit Center”. As a project is executed, variances could occur between the original planning and the actual course of the project. Once the first actual costs have been incurred, customers will find it necessary to check and possibly update the figures for the remaining costs. This helps to preserve a base for a realistic cost forecast during the whole of a project’s life cycle. The cost forecast allows use to adapt cost planning to constantly changing circumstances. For the cost to be completed, the system determines and values the remaining work on the basis of the plan, forecast, and actual work performed. The system allows to track the trend of the project level forecast using a period based approach. During this process, the system freezes the previous period and takes over any cost to complete from previous periods to future periods. With this we are able to improve accuracy of forecasts based costs on curated industry best practices and have now simple what-if capabilities to determine expected margins. One challenge that is familiar to many project managers, is that consultants do not record their time in a timely manner in order to make the invoicing process as quick as possible. In the 1705 release we delivered a new app for the project manager, called “Nofity Missing Times”. This can be used to check if all the timesheets are up to date before creating a billing proposal. This ensures that every month before creating a billing proposal, he or she can review the timesheets and notify consultants if there are missing time entries so that there are no errors during billing process. In case that there are missing recorded times, the project manager is able to send a direct notification from this app in order to remind the consultant to maintain his or her time. The consultants will receive and email with the necessary information included. 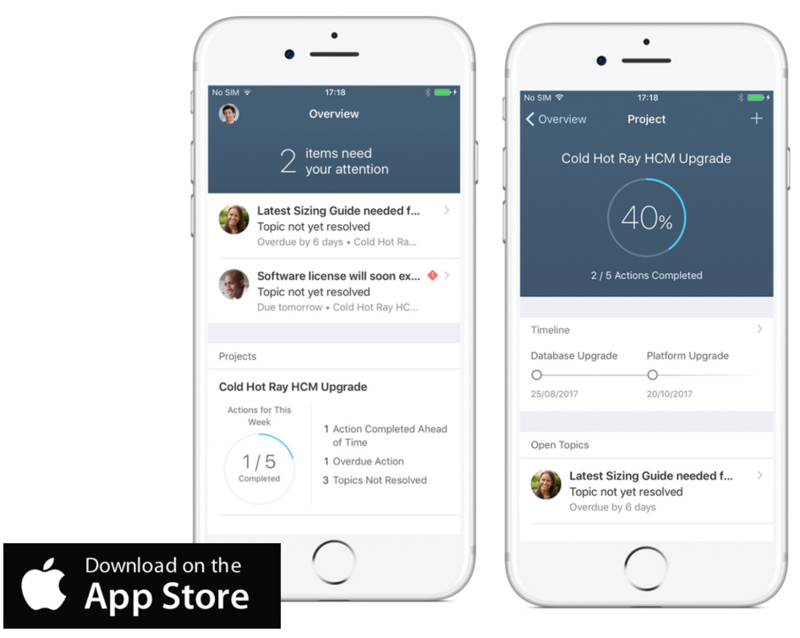 One item that Sven Denecken has already mentioned in the Product Management update for the SAP S/4HANA Cloud 1705 release is the SAP Project Companion app. In April 2016 Apple and SAP announced that working together they want to revolutionize the mobile experience for enterprise customers of all sizes. 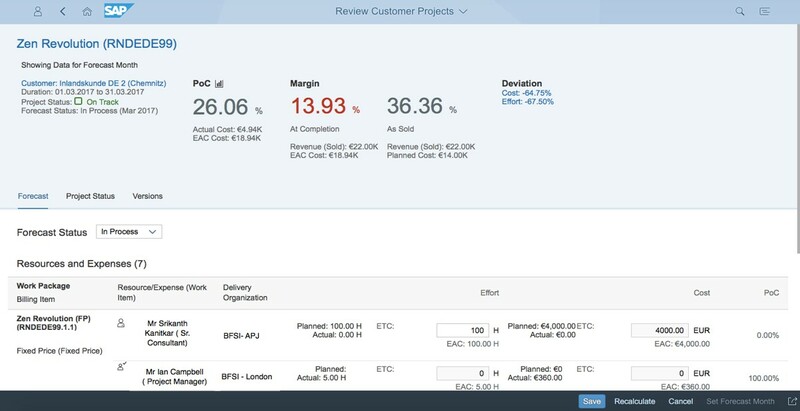 One of the results in the SAP Project Companion application on the SAP Cloud Platform (SCP) with an integration to SAP S/4HANA Cloud for Professional Services. This app facilitates day-to-day actions and communications for the project team in customer projects and they come in two different role-based versions – SAP Project Companion for Managers and SAP Project Companion for Consultants. These apps are created to enable project team members to stay on top of daily project topics and actions. They improve collaboration among team members by providing real-time overviews of project data and give them the opportunity to create actions and follow-up actions, assign them to available resources, and share project information. The capabilities in these apps are for example the attention and notification item overview, which gives quick insights into what is important through push notifications and react to them, like when the due date of an action is approaching and it hasn’t been completed yet. Also you can handle actions and topics from the apps, like track, create, and update planned project elements together with unplanned problems that arise. You can reach out to colleagues working on that action and ask them for an update on the tasks at hand. And among much more you are not only able to see the project timeline, but also to personalize it by adding important milestones. 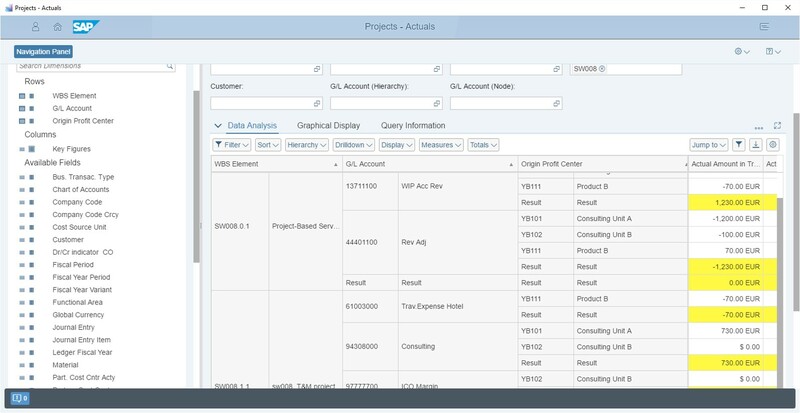 These highlights give a quick glimpse into what is coming new with the S/4HANA Cloud for Professional Services in the 1705 release. Of course there are more enhancements that support companies working with project based services in gaining more insight into the progress of projects and their profitability. Up next is SAP’s SAPPHIRE and ASUG Annual Conference. Make sure you check out the session catalog and check out the presentations Sven Denecken will give together with customers and partners. Also there will be a booth for SAP S/4HANA Cloud for Professional Services, so don’t hesitate to come by and learn more. ASUG has also a special interest group for Professional Services, if you are interested in knowing more reach out to Matt Emmert. Are you interested in finding out more about this latest release and all the innovations and enhancements that were delivered with the SAP S/4HANA Cloud for Professional Services?